My practice triggers a return to the body. My work is centered on the idea of art as a healing and transformative experience. The body is an important medium that plays a central role in collective experiences. This is explored by creating an awareness of the body in our existence as human beings. I search for an inclusive dialogue and real interaction, where participants come in contact with masses of bodies to engage in and share their collective identity. 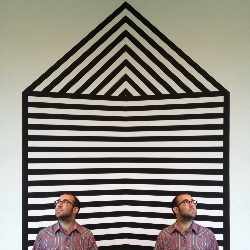 Raul Hott is a Chilean architect, currently living in Brooklyn. He just received his MFA in New Forms at Pratt Institute in New York. He has presented his work at the Trestle Gallery Brooklyn Art Space, Governors Island Art Fair, Brooklyn Zen Center and Blackburn 20/20 Gallery. Ultimately he has developed projects on the public space, where the last, self-funded and main event ‘Songs for the Open Body’ was supported by the Parks & Recreation Department from Brooklyn.